Whether you are an RMT or an LMT, every massage therapist knows you are never in one place for long. In-between the office and away on house calls, you spend a sizeable portion of your week (and even your day) on the go. For many massage therapists, that means living your business behind. But when you leave your business behind, whether schedules, your client notes, business statistics dashboard and so on, things slip through the cracks. RMTs and LMTs need tools to manage their business on the go so that they always have a finger on the pulse of their business. Perhaps you want to spend less time on admin and more time with your clients. Yocale’s provider app, which is like a SOAP notes app for massage therapists (but also much more), makes it possible to do all of this as it allows you to access your entire business from your smartphone. Whether you want to stay in control of your business or you want to be able to accomplish admin-related tasks when you’re out and about, the provider app makes it possible to do that. With Yocale, your entire business is in the cloud. The provider app makes it possible to securely access everything related to your business from your smartphone. Everything looks exactly the same as it did on your desktop. Whether you want to look at your schedule, access your client notes, manage inventory or anything else, the provider app makes all of that possible. Massage therapists are selling their time. If you want to run a successful business, you need to very in control of that time. Practically speaking, you need to be in control of your schedule at all times (that means using massage therapy software with SOAP notes in general), but it also means using the SOAP notes app for massage therapists (i.e. the provider app). Never miss an appointment again. Many RMTs and LMTs travel to see their clients. This puts the onus of showing up on you instead of the client. With the provider app, you always know what is coming up on your schedule. You never have to wonder or worry or make any guesses because your schedule is always at your fingertips. Never miss an appointment again. Know your staff schedule’s at all times. In the same vein, the provider app means that you can access all of your staff’s schedules as well. This gives you piece of mind knowing exactly what is happening while you’re away. Make schedule changes on the go. The reality of the massage therapy business is that the majority of your clients will primarily call you when they are in pain. In other words, appointments tend to be sporadic – patients want to be able to book an appointment right then and there. This requires being able to accommodate them. In order to so, you need to have your schedule easily accessible – otherwise, the patient may go the next massage therapist who is available to accommodate them. This is just one example of many where having access to your schedules is not only convenient but can also mean the difference between booking that client and the client choosing another provider. On a day to day basis, RMTs and LMTs are not just giving massages. Various administrative tasks also take up a large part of their day (and work week). This inevitably means that you spend a lot of time at your desk. But, with the provider app, your entire business is in the cloud, which means that you can accomplish admin tasks while you’re waiting in the dentist’s office or elsewhere. The provider app isn’t about working around the clock. It’s about giving you the tools to manage your business in the smartest way. If you’re at the dentist’s office and the wait is long, that otherwise wasted time could be spent in a much more productive time. The provider app gives you the tools to accomplish these tasks during your downtime so that you don’t have to be chained to your desk. The app gives you more time to spend elsewhere, whether that’s with your clients or completely unrelated to your practice. Successful massage therapists are always in control of their business. They know what is going on on a daily basis and they have the bigger picture. They may not be physically at the office, but they still know their staff’s schedules, whether inventory is getting low and whether kind of results their latest marketing campaign generated. When you are not on top of your business, things slip through the cracks. You get behind. And pretty soon your business becomes a burden. Being in control of your business is about knowing the most important numbers about your business, from sales numbers to new client bookings, marketing results and so on so that you can make the best possible decisions. If you talk to a lot of massage therapists (RMTs in Canada or LMTs if you’re in based in the states), one thing that stands out is the importance of listening to your clients and what they need and then delivering a personalized massage that meets those individual needs. The massage therapy clinics that grow are the ones who deliver individualized treatment. But in order to do that, you need to always have their client notes easily accessible. This is the benefit of using the provider app. The provider app makes it possible to view all of your client notes from your smartphone, which means that you will be always able to deliver personalized care. You will always remember what took place at their last appointment. You can view their entire appointment history to get the fuller picture of their past and deliver the best possible treatment at all times. You will be able to add to these notes on the go as well. Also consider that the massage therapy industry is always changing. The best LMTs and RMTs are on top of these trends and then apply them. When you have your entire business with you, it is much easier to put these new techniques into practice when you have access to them. Show Your Clients You Care: Acknowledge Birthdays, Etc. Another way that RMTs and LMTs get their clients to come back again is related to the above idea of the importance of delivering personalized treatment. But what we are talking about is the importance of establishing a connection with each of your clients by acknowledging their birthdays and other similar events in their life Perhaps you offer a free massage on your clients’ birthdays. Whatever the case may be, having this information easily accessible as you travel between clients is invaluable to your practice. One study found that nearly 74% of customers who received birthday greetings from customers felt more positively about the company afterwards. Step 1: Visit your App Store. 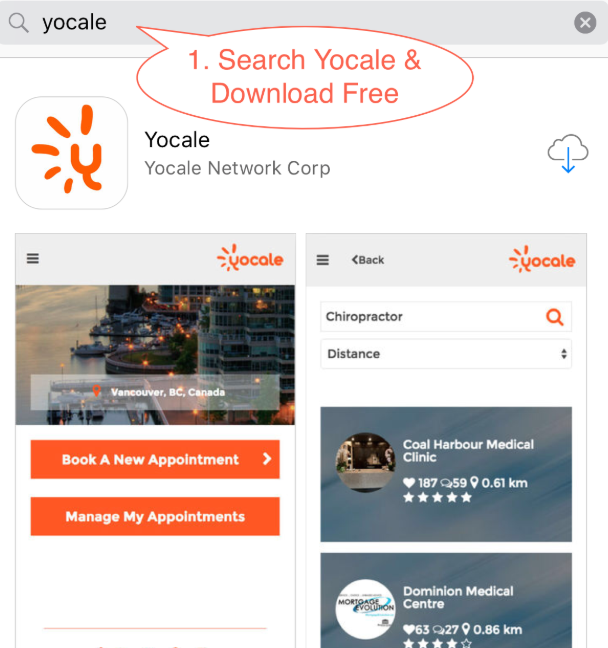 Next, search for ‘Yocale’ and then simply download the app. 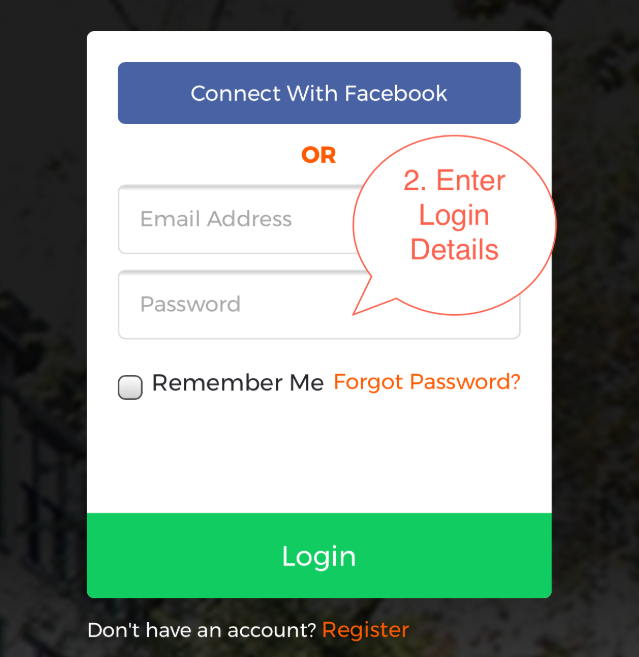 Step 2: Simply enter your login details. You will then be able to access your mobile account. The provider app makes it possible for LMTs and RMTs to manage their massage therapy business on the go. Do you have any other tips on how you manage your business on the go? We’d love for you to share your tips and tricks with us in the comments section below. Do you want more exposure and appointment bookings for your massage therapy business? Yocale offers the leading massage therapy software with soap notes on the market (our SOAP notes app for massage therapists is also pretty great). Our beautiful and easy-to-use calendar gives you the extra hand to simultaneously run and grow your practice at the same time. Click here to sign up for FREE or learn more. You can also book a personalized demo here.